Why Choose Us As Your Car Respray Company in Singapore? Many people want to respray their car in Singapore to refurbish its looks after using it for long. 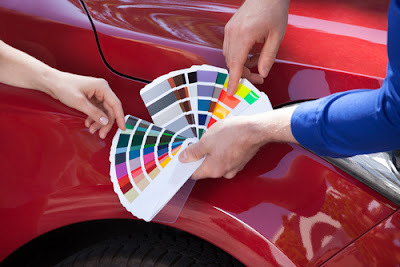 There are a number of companies that offer car respraying services which makes it difficult to choose an appropriate one. We are one of the companies which provide wide variety of services to their customers. Through this write-up we are providing you the reasons to choose us as your car respray company in Singapore. Team of professional workers: One of the most important reasons to choose us as your car respray company is the team of professional workers available at our workshop. These professionals are trained to respray your entire car to give it an entirely new look. In order to improve the knowledge and skills of our workers we also organise special training sessions with latest technologies for them. It helps them to be the best skilled, knowledgeable and most reliable car sprayer of this industry. Most of our customers feel comfortable with the quality of the services provided by our professional workers. Variety of colours: Many people also choose us for the variety of colours we use for respraying their cars. We offer flexible option to our customers to choose the colours of their choice for this purpose. We offer them all types of colours and shades to choose individually or in combination for their vehicle as per their choice. You can also know about the popular colour options these days from our customer service, before making any decision. You can know about the colours and colour combinations available with us by having a look on our colour palette. We can also help you in choosing the best colour for your car respray. 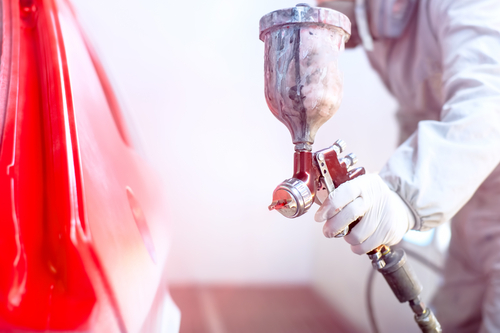 Availability of appropriate respraying tools: Another reason to choose us as your car respray company is that we own all the tools necessarily required for this purpose at our workshop. Our workers can easily and quickly complete any respray project on any type of car with the help of these tools. Thus by using our services for respraying your car you will not have to wait for long. Along with our respray tools we also update our respray supplies to allow you to choose from the latest shades available in the market for your car. So those who want to improve the looks of their cars can avail these benefits. Speedy results: It is another important reason to choose our workshop for respraying your car. You need not have to wait too long for your turn while deal with us. We ensure to complete your job as soon as possible on behalf of our well trained professionals and the availability of wide variety of colours and shade as well as respray tools. We value your time and try our best to complete your car respray at an earliest opportunity. Along with respraying your car we also have arrangement to dry it up as soon as possible to retain its latest looks for long time. For this reason most of the Singaporeans prefer to respray their cars at our workshop. Long lasting results: The team of our professionals provide reliable quality respray service to our customers. This is another reason to choose us as your car respray company as after selecting us you will not have to regret on your decision. If you are in a hurry to get your car resprayed then you should not hesitate in visiting our workshop as we have all the arrangements to give long lasting results as soon as possible. We ensure good quality and durability of our work as we use the colour and other supporting materials of the best quality. They can stand in all weather conditions including sun, rain and wind etc. Company with long experience: We are in this trade in Singapore since many years. 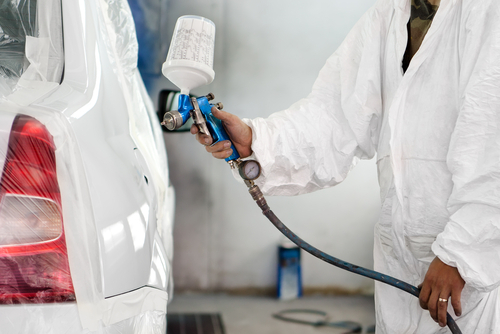 Our long experience in respraying cars is another good reason to select us for this purpose. So if you want to improve the overall look of your entire car then you can rely on our experience in this industry. We know how to completely respray any kind of vehicle. In order to ensure the reputation of our company you can go through the reviews of our previous customers about the quality of our work. These reviews are the testament of the performance and workmanship of our trained professionals. Assured service: We offer assured services to our customers who approach us for respraying their defaced cars due to long use or any other reason. Our guaranteed services offer a feel of satisfaction and happiness to our customers. We assure to provide free respray service if you are not satisfied with the services provided by our trained professionals. They try their best to keep all of our customers, anywhere in Singapore, happy and satisfied. The quality of services provided by our professionals and their results will never let you regret on your decision. Reasonably priced services: Last but not the least reason of choosing us as your car respray company is our reasonably priced services. Most of the Singaporeans approach us not only for our quality services but for our reasonable fee also. We offer free quotation when you contact us for this purpose. You never charge you unnecessarily if you respray your car through us even without asking a quotation in advance. We can improve the looks of your car within your budget. We also occasionally offer coupons and discounts to make our service more affordable for our customers. So you should ask our customer service desk in this regard while approaching us for your car respray project. So, on the basis of the reasons discussed in this write-up, you should choose us as your car respray company in Singapore if you want to give an entirely new look to your car. We fulfil all the important aspects required for this purpose. If you are planning to refurbish your car then to avoid any kind of harassment you should book an appointment with us in advance. It will help you in saving your precious time and getting the best services conveniently from our professionals. For car owners, it's crucial to be familiar with how to handle car maintenance work and troubleshooting if you want to save an awful lot of money and be ready on emergency situations. Likewise, we believe that knowing the basics of car diagnosis is quite essential, especially if you're planning to take good care of your car. Before anything else, if you're thinking that you need to be an automobile engineer just to know the basics of car diagnosis, you're wrong. All you need to do is understand how a car works, the basics, and make sure that you'll observe how it functions as close as you can. By doing this, you'll be able to understand how car diagnosis works. Believe it or not, the modern automobile is similar to a complex machine. Thus, it's vital to understand every single working part of it-- in detail. However, you must also be willing to study the automobile, in order to grasp every essential detail. In order to learn how to diagnose your electrical car problems, just focus on the basics first. No need to divulge into the excruciating details yet. What you need is the general idea of the various important elements and ensure that the car can work once you resolve these symptoms. Here are some of the basic tips. In order to diagnose your car, you must know all the subsystems that allow it to function smoothly. The most important thing that you should take into consideration is how the engine works, because it's the heart of the car. Also, learn about all the vital components related to the engine and the function of each. Try to understand how proper maintenance works in order to ensure that your car will function properly once it's assembled. Likewise, it's also essential to have a basic understanding of the electrical system as well as the peripherals associated with it. Once you're done with the initial step, you need to create a list of all the 'vulnerable' parts of all the important systems of the car. For instance, the alternator is the device that delivers electrical power to the car, and it's stored in the battery. Also, it's considered to be one of the most essential parts of the electrical system that keeps the car functioning at its best. With that, it's important to be familiar with the symptoms of a bad alternator. Another example would be the 'head gasket.' It's also considered as one of the most essential parts of a car engine. Try to understand the basic functioning of this and list down all the blown gasket symptoms that you can find. Additionally, you could also come up with a 'symptom list' for all the car components and systemic issues you can find in your car. Also, list the test procedures that can help you diagnose and isolate the problem. Keep a record of all the symptoms, together with the various problems. After listing all the symptoms of different car problems, you'll realize that there's a need of some diagnostic tools, such as a digital voltmeter. This tool will allow you to conduct some tests on your car. Just like having a battery test, you'll need a voltmeter to gauge the existing condition. Have your tool box ready in case you need to fix some minor problems. In order to avoid the problems that most car owners face, it's ideal to maintain a regular check up routine for the car. Similar to a pilot who checks his flying machine before every flight, as a driver, you must check all the vital systems of your car before using it. By doing this, you'll have lesser problems to diagnose in the future. By learning the basic diagnosis of your car, you'll be able to fix the problems in no time. Likewise, it'll be easier to repair your vehicle and your skills will go beyond the standard ones, such as changing the tires and cleaning the carburettor. Keep in mind, your car is like a computer on wheels and you need to learn the ropes on car diagnosis to ensure that it'll always run smoothly.